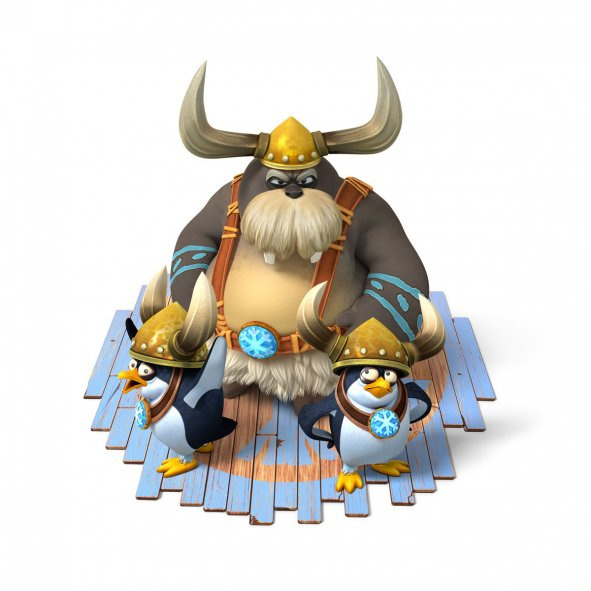 While the original North American version has a fairly innocuous, calm and cheery voice-over, the UK commercial has gone right to the opposite end of the spectrum and brought in the well-known English actor Brian Blessed to provide narration. He's hardly the most subtle choice, known for his booming explosion of a voice and enough jolliness to keep Santa Claus going for a decade, but when partnered with Nintendo's wildest franchise he makes for a roaring good match. It's worth a watch even if you've already checked out the original version, solely to see the difference a change in voiceover can make. Good ol' Mr Blessed gets progressively more and more excited by the prospect of the Kong family's revenge, to the point where you can almost picture him leaping up onto the recording studio's table in triumph. There's a sense of goofy adventure to it that the American version misses out on slightly, with the added bonus being that we can actually picture Blessed and Donkey Kong himself getting along quite well if they were ever to meet. Either that or he'd join the walruses of the Snomads. You can watch and compare both versions below, so be sure to leave a comment telling us which you like best! Honestly I like the UK more just because there is more energy in it. US version: Hey look a new Donkey Kong! UK Version: OMG! Donkey Kong, he's finally here performing for you! UK Version is much better.. I don't know why they just didn't use that in the US as well. Dang it Brian Blessed, You made the commerical more awesome. NOA Marketing Team, take notes. The UK one is better, only because it has the line, "What's This? An army of Polar Invaders trying to steal bananas! Wait 'til Donkey Kong finds out!" Ya gotta love British voice actors. As a Brit it's hardly a surprise I prefer the British version. I actually saw it tonight during the Arsenal v Bayern match: it's the first time I've seen a Wii U advert on TV. The UK version is better because he says there are "six new worlds", but the NA version says there are "six new lands". Lands? LANDS?! That just sounds weird. Not only that, but there's an awkward silence after he says it. Oh yeah, the announcer is better, too, and it has a cool Wii U logo at the beginning, and the way he says bananas reminds me of this. So yeah, UK version wins. Same as cornishlee, I heard it in the background while doing homework upstairs. TURN THAT BLOODY VOLUME DOWN! Don't like the UK one, they should ALWAYS show the console. Now, people from the USA and UK, do they actually show this on TV? Here in Spain nobody knows the Wii U exists, and everyone has a Wii. @kuribo4 but in spain the dktf is in the top 10 of amazon video game list of sales. I haven't seen a commercial for it yet on tv in the U.S. and I would have thought Olympics and cartoons would be the perfect spot for it. Maybe they are aiming for a different demographic then Mario with this one. @kuribo4 in Discovery Kids LA is every day adv/. @Gerbwmu yes, some discovery network channels have the ad... especially the kid one. You should see the german one - no gameplay footage, no CG Donkey Kong goodness. They try to make it look like Nintendo-fied The Day After Tomorrow at first, apocalyptic view included. What? UK, the voice settled the video nicely. Let's face it, the US Nintendo ad campaigns are always lackluster. I much prefer the Japanese counterparts. Sure, I can't understand much of what is being said but they always promote fun and game video clips over a family sitting on a couch looking goofy. Brian Blessed. ACCEPT NO SUBSTITUTES. UK wins this round. But who didn't see that coming. Brian could make an insurance seminar interesting. Always the pro, he's a delight to work with. Good ad. 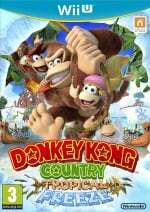 "There's a sense of goofy adventure to it that the American version misses out on slightly, with the added bonus being that we can actually picture Blessed and Donkey Kong himself getting along quite well if they were ever to meet. Either that or he'd join the walruses of the Snomads." haha, snowmads thatys pretty good, also only six worlds? what ever happened to the classic eight? UK one is better...I like the excitement and you remember it. Brian Blessed is second only to John Rhys Davies in big bombastic voices! The USA one has that generic "i sound young too, bro!" type voice actor we get way too much of here. THAT is no voice Actor! That is BRIAN BLESSED! Gotta go w/ the UK version. Im in the US and I dont know who Brian Blessed is but excitement is always better. That said, I did see the US version on tv last week and it seemed fine, nothing wrong with it at all. Well it did make me want an open world 3D game really badly, but besides that it was fine. Dragons is on in 25 minutes, Ill report back later if they show it again. And remember, when you're playing the Polar Bear level, Brian Blessed has punched a polar bear. OH, MY GOD. Forgive my disloyalty, America, but Brian Blessed for the win! They're both horribly cheesy in my opinion. I dunno, maybe commercials are supposed to be that way since most commercials are pretty cheesy, but I don't do cheesy very well. If I had to pick, it'd be the UK one though. I can't stand that generic sounding young voice we get in almost every video game commercial. Brian Blessed makes everything better. The US ad is actually kinda limp. Saw the US ad on tv about an hour ago, and it is very quiet at the beginning. Not only is there no voice over for about 7 seconds, but it doesnt have that cool Wii U Donkey Kong opening that grabs your attention. The US version starts like any cereal or Kool Aid or Skittles commercial, easily tuned out. The UK version is a little bit cheesier, but also the funnier one. @Scary_Old_Lady They're actually saying "Snowmads" (a portmanteau of "snow nomads"). The levels are longer this time around. Reports of some taking over 10 minutes each. Longer, fuller levels. Less of them. Probably end up being a fair trade off. Really nice CGI in these commercials. Less than 48 hours to go until hair-pulling frustration. Can't wait!! NOA marketing is pretty much the #2 reason (behind only the 3rd party relations situation) why Nintendo is irrelevant in the west. @mercurio2054 I'm happy to hear that! But really, when Mario Kart comes out, they need a huge marketing campaign. @mercurio2054 Yeah, but it was the same with 3D World. @DestinyMan "My sister claimed she saw the NA commercial on all the major cartoon channels (Cartoon Network, Nickelodeon, and Disney)." And that's Nintendo's biggest problem right there. Meanwhile, Sony and Microsoft advertise on ESPN, Spike, AMC, and a number of other grown up channels. Channels people that grew up playing Nintendo watch. People that were their original fan base. Why Nintendo continues to pursue only kids is beyond me. Brian Blessed voice over wins every time! !, so much energy and enthusiasm compared to the American advert. You really need to turn it up and hype these games. The Yank sounds like he's on Valium - it's like watching a trailer for an American kids film, booooring. I wasn't going to get this at all, but the Facebook images look so nice I may not be able to resist! @rjejr and anyone who wants a laugh - Google 'Brian Blessed Have I Got News For You' and prepare to fall in love. It's a comedy news quiz/panel show and when he reads out the headlines (especially the ones about petrol possibly running out) it's just comedy gold. If you want to hear some quality swearing, and your over 18, also Google 'Brian Blessed swearing' and you'll see a real treat. I'll give it to the UK on this one. Much more exciting and fun. @rastamadeus - Thanks. I'ld been thinking about looking him up. I've been on a comedy kick lately thanks to Seinfeld's Comedians in Cars getting coffee. I've never been a Ricky Gervais fan but that guys laugh is seriously contagious. Brian Blessed is a god. The UK one reminds me of cereal adverts. Whoa, whoa... is Brian Blessed the voice of Zeus in Pinball Pulse: The Ancients Beckon (DSiWare)? Never heard of him but I know I've heard that voice before. the big question is whether Nintendo actually shows the advert or just stick it on youtube as usual. Non-Nintendolife readers still have no idea there is a WiiU Fit, amongst others! @LetsGoRetro Well yeah, us adults can still enjoy goofy things, but being spoken at like an infant doesn't fly as well. At least that's the way I felt about these two voices. @rastamadeus His episodes were legendary! @rastamadeus - Finally got around to youtubing Brian, this was all I needed to see. Nobody told me he's freakin' Captain Nemo! "Well, there aren't any DK adverts here in the Netherlands so both are better"
Agreed! I thought they would market it like they did with Returns! But they didn't! I really don't get Nintendo!